Philip is in much demand as an editorial consultant and ghost-writer. Such commissions have covered a wide range of subjects, from the Eurozone crisis for an influential economist, to a major health and safety scandal in the aviation sector. He has international experience, with a very good command of Spanish, having lived and worked in South America in the 1990s. 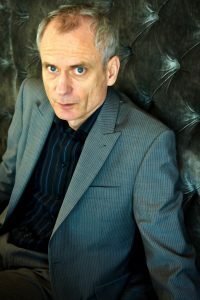 Owing to his ability in a foreign language, and extensive international experience, he is particularly well placed to assist authors who are using English as a second language, and much of his work involves the editing of manuscripts, working closely with authors to realize their vision. He has worked closely with Professor Vlatka Hlupic on her seminal work The Management Shift (Palgrave Macmillan 2014) www.themanagementshift.com, and on her essays and journalism. Denise Kenyon-Rouvinez, Ernesto J Poza, Alexander Koeberle-Schmid, authors Governance in Family Enterprises. Professor Vlatka Hlupic, Said Business School University of Oxford, author of The Management Shift. Penny Webb, senior client partner, Korn Ferry International.